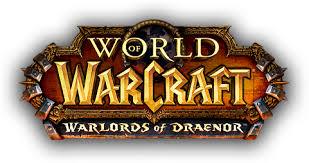 Starting up a video series a video series of my time in World of Warcraft. I have no idea what it's going called, but it will be available here and and on our network's YouTube channel, with the live stream available at Twitch. My son Jason will be offering play by play analysis and color commentary. If/when we get another computer, we'll get Jason in the game and maybe get my wife to start playing again too. That would be a lot of fun. What will this series be about? The main focus will be leveling my paladin, Caedence through Draenor and teaching myself to tank...again. This is not going to be a tutorial kind of thing, we're going for comedy. Something the boy and I can have fun with since we dropped to one pc. We'll mess around with some of my other toons and maybe let Jason wreak some havoc on Azeroth as he levels his worgen warrior. Hoping to have the first episode up this weekend.